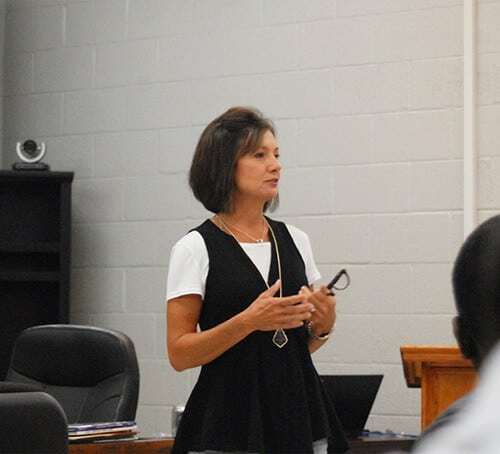 Haywood County Schools Curriculum and Accountability Department, under the direction of Superintendent Teresa Russell and Chief Academic Officer Yvette Blue, is pulling out all the stops to increase reading skills in children and adults in the community. And they are asking community members to take part in the project. 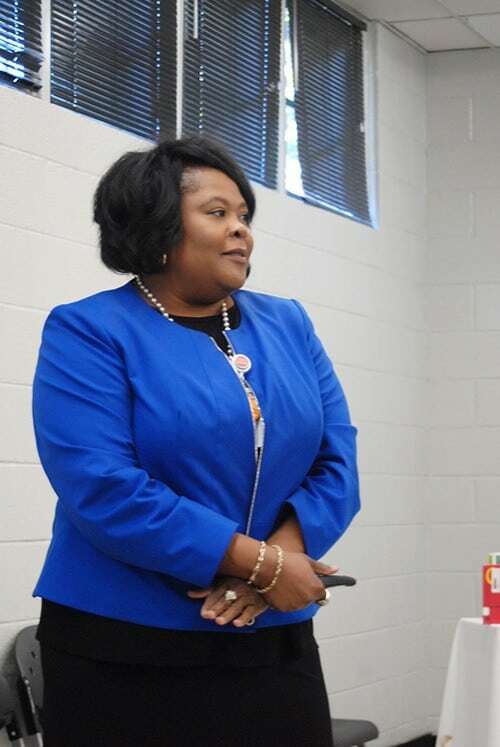 On Tuesday, September 6, Yvette Blue and her staff members, Jean Wills, Michelle Tillman and Maria Hart, were hosts for a “Chat and Chew” with community members to request their participation. Representatives from several churches, individuals, and representatives of other groups and organizations were there for the presentation. Mrs. Blue explained that the Haywood County reading initiative is in line with the state’s “Read to be Ready” campaign. According to the state’s report, “Tennessee has made tremendous gains in student performance over the past several years – except in reading. Despite our educators’ best efforts, reading skills in elementary school learners have failed to improve, and in some cases have even declined. But these abilities are some of the most important ones our students need, and they are foundational to their success.” Backed by research, the state is using statistics to accentuate the importance of this push to improve reading skills across the board in Tennessee schools. 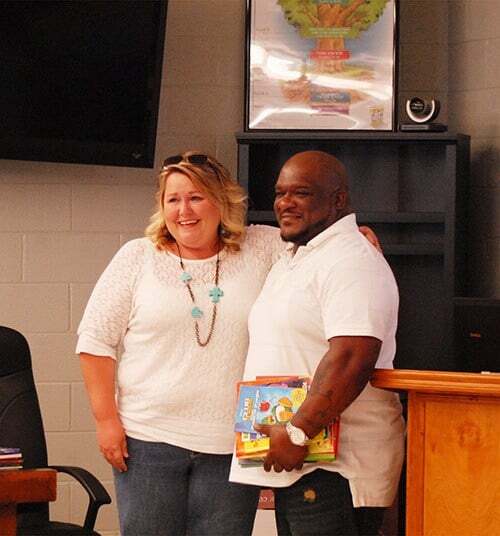 Research says that the lack of books hurt children in high-poverty communities, and armed with this information and other statistics, Mrs. Russell, Mrs. Blue and her staff are leading the charge to make books more accessible to Haywood County residents. They are asking volunteers from all walks of life to open up and manage “Little Free Libraries” around the community. “The most successful way to improve the reading achievement of low-income children is to increase their ACCESS to print.” This statement is the motivation for the community to commit to the cause. In addition to some establishing Little Free Libraries, they are asking others to participate by sponsoring book drives. Mrs. Blue shared with everyone the HaywoodReads! Vision statement: To install a lifelong love of reading and to develop reading skills that will have a positive impact on students’ future lives. The HaywoodReads! Mission Statement is: To promote literacy in schools across the community. High quality literacy instruction will be provided in all classrooms and in partnership with parents, businesses, and churches, students will gain increased access to print. And she is inviting everyone in the community to get excited about HaywoodReads! 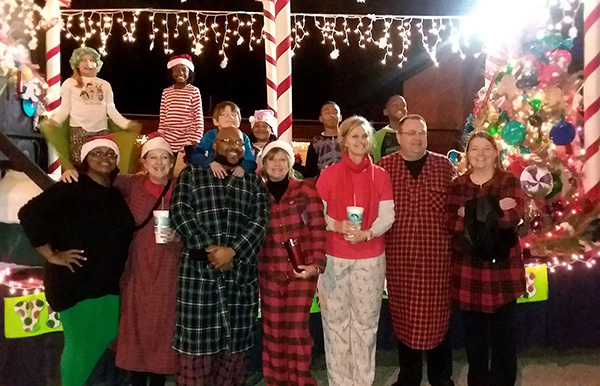 For more information and to find out what you can do to participate, call Mrs. Blue at Haywood County Schools at 731-772-9613. 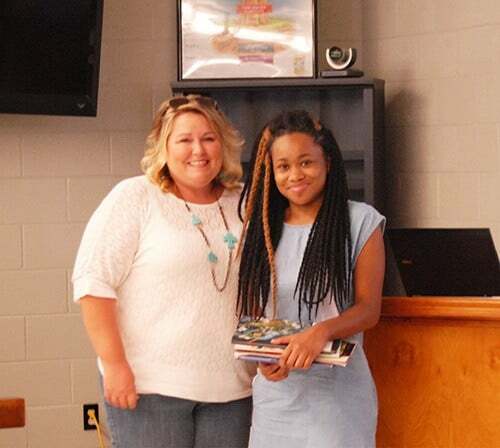 Tracy Sullivan (left) presents donated books, also from Krista Parker, to Terrelle Walker of Walker Barber Shop for the Little Free Library he will be opening in his business. Tracy Sullivan also gave books to Kabrea Swift, daughter of Terrace Swift of Haircuts and Shaves, for the library he and Felix Flagg will put in their business. Krista Parker also donated some of these books.